Welcoming students into our Oxford family since 1979. Inspire our students to achieve their potential and their personal goals in language learning in a supportive international environment. Our handbook is available for information about the school and your stay in Oxford as we want to make sure your stay is safe and enjoyable. Click on the image to download the Student Guide. 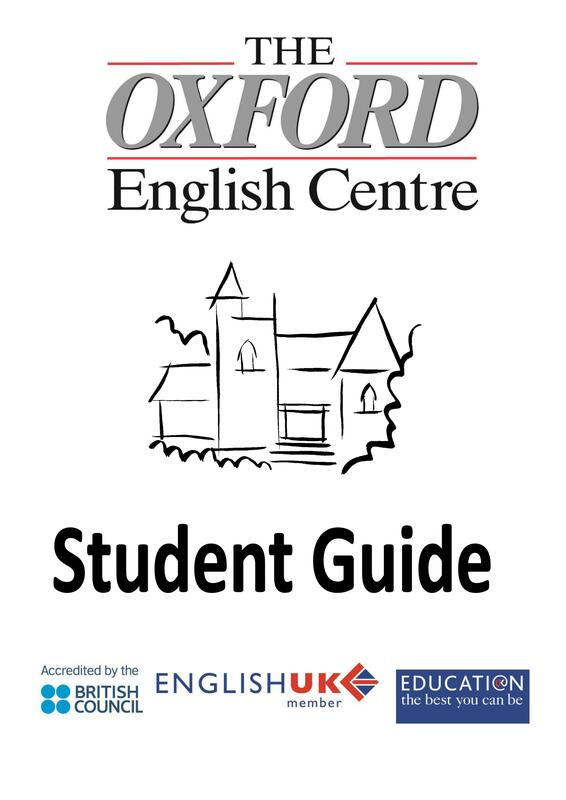 The Oxford English Centre has safeguarding policies in place to ensure the safe welfare of vulnerable adults and students under the age of 18. Our school is not accessible for wheelchair users or those who have difficulties using stairs. Please let us know if you have special learning needs. We can sometimes help students who have difficulties with their sight or their hearing. Please let us know if you are dyslexic. If you want to take an examination we may be able to make special arrangements for you.